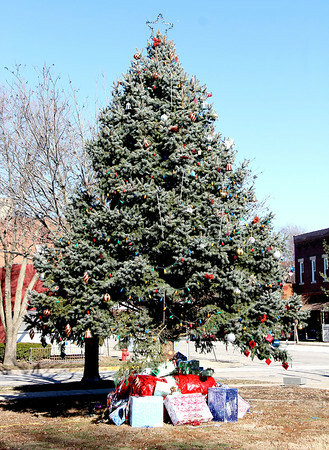 Gary Hissong donated a Colorado Blue Spruce that has been on display on Main Street in St. Elmo over the holidays. The tree was uprooted by the tornado that hit near St. Elmo on Nov. 17. The tree, which he planted in 1984 on his property near St. Elmo, was unable to be replanted after being blown over. Hissong’s property was largely unaffected by the tornado except some damage to several trees and some siding on his house.